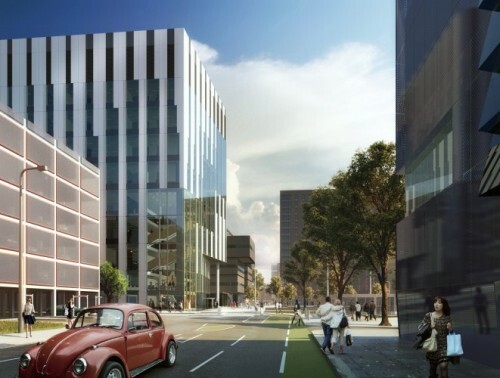 Arcadis, together with its project team members; Arup, Laing O’Rourke, NBBJ and Ramboll have revealed designs for the Henry Royce Institute at The University of Manchester. The £235m project will be the UK’s leading centre for advanced materials research and commercialisation. 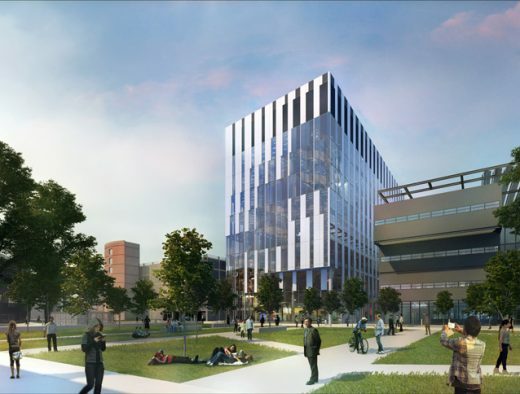 Located at the heart of the University of Manchester’s Engineering Campus, the 16,000sqm building will house world-leading materials scientists, state-of-the-art equipment and collaborative space for industrial engagement. It will enable the UK to grow its world-leading research and innovation base in advanced materials science and technology. The building is expected to cost £150m and is expected to open in 2019. 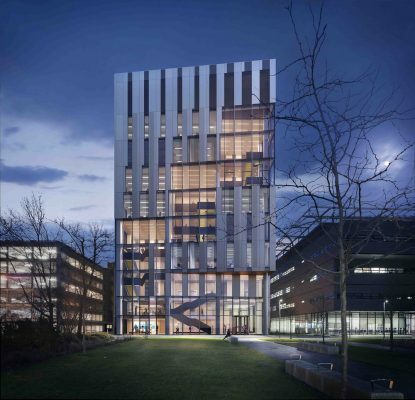 At 46 metres high, the Institute is expected to be the tallest building on campus and a prominent new landmark on the Manchester skyline. The design of the Henry Royce Institute building will promote ‘science on show’ with laboratories revealing their complex workings, alongside spaces for visitor engagement and imaginative displays of research material and products. 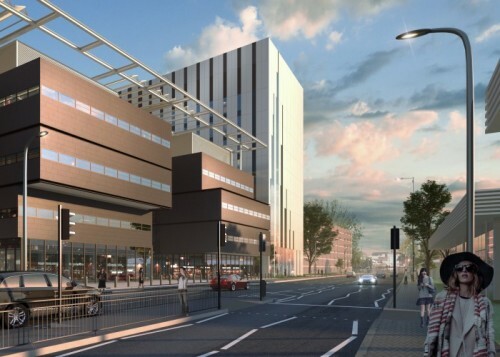 Work on the Henry Royce Institute building will begin early in the New Year and is expected to be fully operational by late 2019. Project and Cost Management is provided by Arcadis, Civil and Structural Engineering by Ramboll UK, ARUP is the Building Services Engineer, Gilllespies are the Landscape Architect and the Main Contractor is Laing O’Rourke. The design of the Henry Royce Institute will promote ‘science on show’ with laboratories revealing their complex workings, alongside spaces for visitor engagement and imaginative displays of research material and products. The 10 metre high ground floor entrance is open to the wider university campus and overlooked by a café at mezzanine level. Terraced floors provide visitors with glimpses into workspaces as they climb the staircase through a stepped, three-storey atria. These atria house local collaboration hubs with lounge seating and views out across the campus and city beyond. Beyond these is an efficient plan of offices which transition via an adaptable ‘flex zone’ into more private and technical and specialist laboratory spaces. The façade design communicates the internal working of the building and employs NBBJ’s unique skills in design computation: bespoke software that uses algorithms to link geometry with data to address specific design aspects, allowing rapid prototyping and augmenting an intuitive design process. With the facades, solar gain is carefully balanced against the building’s spatial functionality; computational ‘rules’ generate greater visual transparency to more ‘open’ functions such as local collaboration hubs, and lesser transparency to controlled laboratory environments, creating a dynamic and modulated building appearance. Committed to a sustainable future, Laing O’Rourke is re-thinking the way the built environment is designed, delivered and operates — collaborating with world-leading industry and academic partners, bringing innovative new solutions, ensuring the most efficient long-term engineering solutions. The £235m project is a hub and spoke model, with the hub at The University of Manchester and spokes at the founding partners, comprising the universities of Sheffield, Leeds, Liverpool, Cambridge, Oxford and Imperial College London, as well as the Culham Centre for Fusion Energy (CCFE) and the National Nuclear Laboratory (NNL).